Welcome to another adventure in the multiverse! 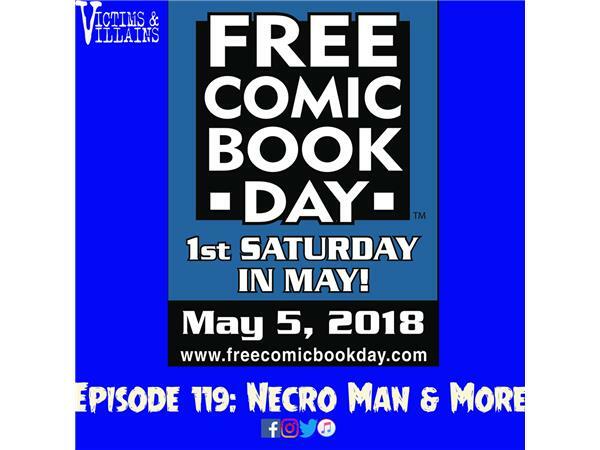 This is part two of our Free Comic Book Day coverage. This episode we are focusing on the talent at our location (Thanks Comics World!). Talent which includes Jason Seaux (of Nercro Man), Matt Burns (of Four State Comic Con), Kyle Raios (of Primal Instinct) and special effects artist Kent Wagner.